Toronto's transit authority is refusing to turn on the $500,000 interactive digital art installation it commissioned for one of its new subway stations. Called LightSpell, the giant ceiling display that hangs over Pioneer Village station lets the public type out eight-letter messages and broadcast them in bright lights above...read more. Californian graphic designer Randy Lewis uses Photoshop to combine photos of unexpected objects, creating surreal digital art that tricks the mind and eye. With a playful imagination and a pun-tastic sense of humor, his colorful creations in his This or That series are often literal depictions of words. Read more. Collaborative platform for artists, DADA.nyc, announces today the launch of the first digital art marketplace using blockchain technology. This Halloween will see the launch of the marketplace’s first digital collection titled...read more. Chicago Filmmakers has awarded $100,000 in grants as part of its Chicago Digital Media Production Fund. The digital artists, who ranged from students to award-winning filmmakers, pitched projects highlighting a range of relevant social issues including gun violence, sickle cell anemia and transgender people in..read more. Launched in 2015, Dadaclub.online made high-quality scans of three dozen Dada works available for reinterpretation by new media artists. Now, 27 of the resulting remixes are on view in Paris. Read more. At the Top, Burj Khailfa expanded its front area by three times its original size to host hundreds of visitors conveniently at any point in time. The reception in the lower ground floor of...read more. Digital media artists have got the chance to showcase their talents at a new development in Leeds city centre. Bruntwood’s 13-storey Platform building officially opens in November and will include a three-floor Leeds Tech Hub. Read more. Maasai elders may seem an improbable choice to navigate a spaceship, but for digital artist Jacque Njeri, the semi-nomadic nature of the tribe makes members the perfect candidates for space exploration. In her art project dubbed MaaSci, a play on words, Njeri recreates...read more. 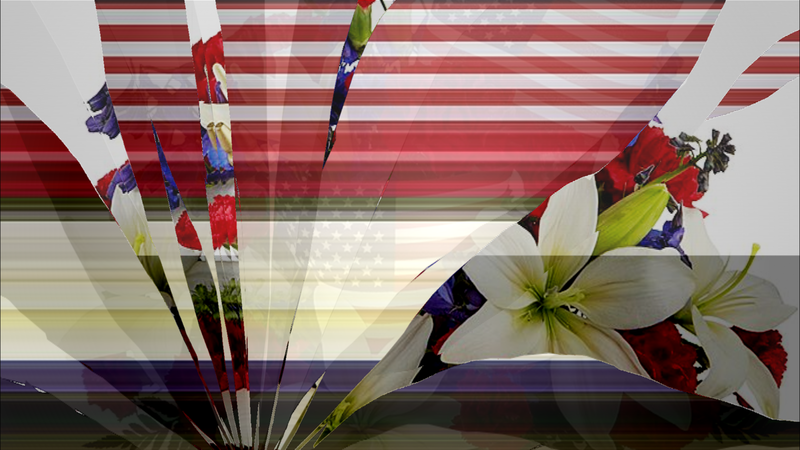 Digital art at Sotheby’s? The auction house is better known for selling canvases by Andy Warhol and Jean-Michel Basquiat for $100 million-plus than for showing what many collectors still regard as ephemera. 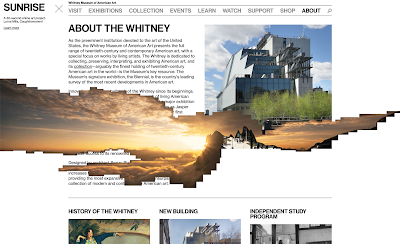 Yet the Sotheby’s S2 gallery in New York, normally used for exhibitions of contemporary art, is currently the site of a show featuring mostly young artists who rely on digital technology and who are not exactly household names. Read more. A NEW digital art exhibition, showing artefacts from Craven Museum in a completely different way, has been unveiled at Craven Gallery in Skipton Town Hall. The work ‘New Light: Illuminating Artefacts’ has been created by Paul Miller, who has used projection mapping, video and an...read more. In a Medium post today, Electric Objects founder and CEO Jake Levine announced that his digital art display company is shutting down. The hardware business will completely cease to exist while Giphy has acquired the Electric Objects iOS / Android app. The news comes less than a year after the launch of its second-generation EO2 display, which I reviewed here. At the time, I had hope for Electric Objects. In addition to revenue from the displays themselves, the company had just launched Art Club, its subscription-based service that provided users with quality digital art. In some cases, the company even commissioned artists to design for the electronic displays. Read more. Collaboration can be complicated; it’s why bands change line-ups or break up, why artists so often work solo. But when a partnership is right, it can propel both parties toward unexpected innovation. Visual artist Nini Sum, the co-founder of longstanding Shanghai art collective IdleBeats, has worked with...read more. Redwood Curtain theater is showing the work of digital artists Pam Cone, Bosha Struve and Donna Rosebaugh in the lobby gallery in June and July. The three women met through the Redwood Art Association and have been influencing and inspiring each other for several years. Each is interested in exploring...read more. The 13th Athens Digital Arts Festival (ADAF) will take place in city centre on May 18-21 this year, in a building of unusual architectural interest provided by NBG PANGAEA Real Estate Investment Company, a subsidiary of the National Bank of Greece. Read more. An intriguing examination of Australian screen and digital art opens this week at Lake Macquarie City Art Gallery. The show, Scanlines, was developed by dLux curators in collaboration with contemporary artist and designer Dr George Poonkhin Khut. Read more. Galleries like American Medium that work with young artists — and cater to a crowd that has grown up with the internet — are approaching web-based art with a renewed purpose. Turman Art Gallery at Indiana State University will present “Digital Noise 3.5: Digital Art Student Exhibition 2017” today through April 13. The exhibited works, inspired by Padgett Powell’s The Interrogative Mood, are by digital art students from the department of art and design. Read more. For up to 12 hours at a time, Petra Cortright ​retreats to her computer suite to "paint". Beneath the majestic San Gabriel mountains, on the edge of Los Angeles, the digital artist's studio is a guest bedroom, her easel a computer and her paintbrush a mouse. The internet becomes her canvas as the 30-year-old trawls websites for colours and images she then turns into multi-layered works that...read more. Digital technologies are fast becoming an integral part of artists’ creative processes. Traditional art forms such as portraiture, paintings and drawings are increasingly making use of digital tools, and the digital artist has emerged as a modern-day phenomenon in the realm of art. Read more. As the connections between art and technology have strengthened over the years, we see more artists merging the two in their creative practice. This month, at Barrett Art Center, "Digitalia" is a showcase of art that explores the intersections of technology and contemporary art. Bruce Wands, author of "Art of the Digital Age," served as curator for the exhibit, selecting 57 digital artworks from 900 entries. Read more. In its selection of over 30 leading artists, “Printing the World | Imprimer le Monde” reveals the transformation of forms within a ‘digital materiality’ that has given birth to a new typology of objects having 3D printing in common. 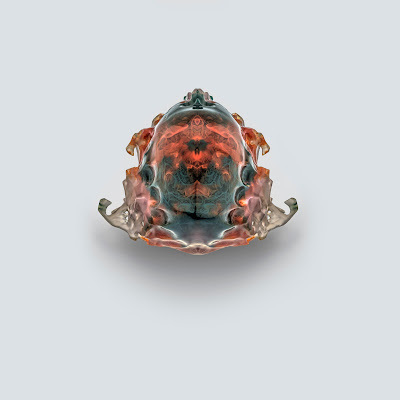 Showcasing at the Centre Pompidou exhibition are three of Neri Oxman’s breakthrough 3D printed “Vespers” death masks which debuted at the London Design Museum in November 2016. 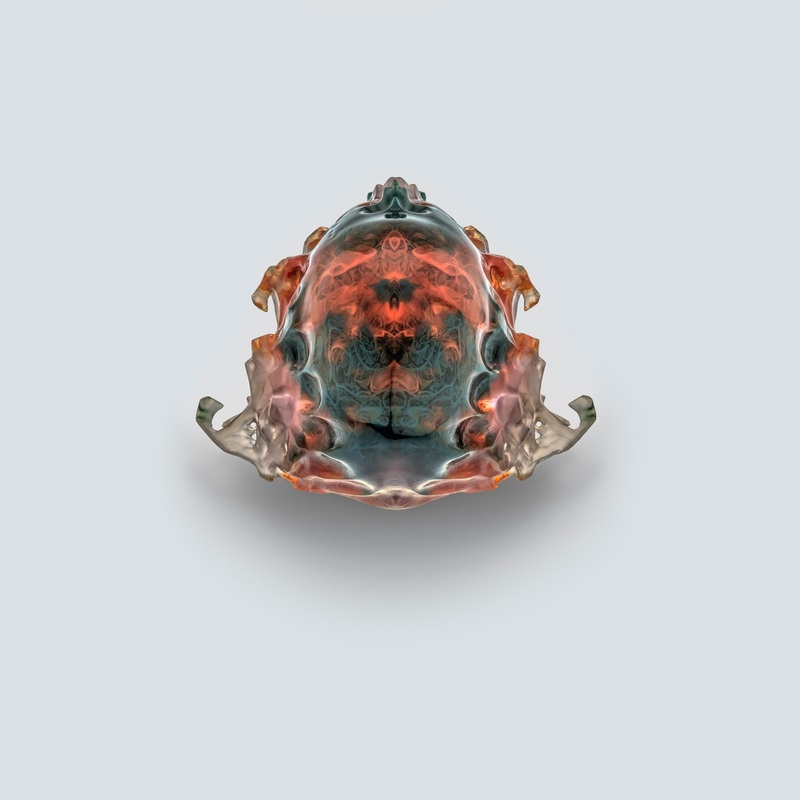 Oxman’s exploratory 3D printed death masks are part of Stratasys’ “The New Ancient” collection and uniquely emulate the resolution and complexity found in nature. Read more. Anna Parini has a knack for beautiful, simplistic illustrations that have made their way onto the covers and pages of a number of high-profile editorials. It takes talent to capture an entire complex issue or concept in one or a few illustrations, but Anna does so faultlessly. Read more. In a town called Stupino, just outside Moscow, Russia, a new little concrete house has just appeared. The circular home, however, is not like others in the country, nor is it like most others in the world. Read more. If you’re a dedicated fan of superhero movies, chances are you have seen the amazing digital art of BossLogic over the past several years. The Australian artist has been making a name for himself online for some time now, with his detailed renditions of well known actors and actresses as they might appear playing iconic comic book and sci-fi characters. Read more. Casual followers of art in our digital age might believe the old saying: “Painting is dead.” That assertion was made in 1839 by French painter Paul Delaroche. Read more. Jeff Schwachter’s 5-year-old daughter taught him everything he knows when it comes to being a digital artist. Well, she more or less introduced him to the field. After Schwachter bought a Samsung Galaxy Note 5 smartphone, his daughter showed him ways to doodle pictures with the stylus on the phone. Read more. The price of Adobe Creative Cloud is going up on March 6, which the company is blaming on "fluctuations in currency exchange rates". Read more. Ben Yang travels to different worlds every day — all via his computer. Using a Wacom tablet with Intuos software, he is able to take a sketch and make it into a beautiful and exciting drawing of a whole new realm. Read more. At CES this week, Dell unveiled a few nifty ideas for work and play. The most eye-catching, especially for artists, is the Dell Canvas, a digital artist's workstation in the same realm as the Surface Studio that Microsoft showed off a few months ago. Also on show was a 32-inch monitor packing in 8K resolution, a wirelessly chargeable 2-in-1, and a refresh of the company's other laptops, all-in-ones (AIOs) and monitors. Read more.